US NEWS: It's National Vinyl Record Day | What Hi-Fi? Why not dig out your old records and celebrate with a vinyl party this weekend? Now we know there seems to be a national day for virtually everything, but this is a good one. In February 2002, the San Luis Obispo County Board of Supervisors in California adopted a proclamation, declaring August 12th as Vinyl Record Day. Why August 12th? 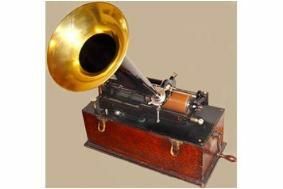 Because it's the date when Thomas Edison invented the phonograph in 1877. The objective is to establish August 12th as a day for friends and family to get together to enjoy their favourite music. In its mission staement, the VRD says: "Our aim is to preserve the cultural influences, the recordings, and the cover art of vinyl." So how can you participate? The organisers suggest that if you're busy at work today, you get together this Saturday with friends and family and have a Vinyl Record Day party. Go on, dust down you vinyl and give it a go! What's to lose?